Endocrinology covers some of the most common conditions and serious public health challenges facing medicine today, and endocrine and metabolic emergencies constitute a large proportion of the clinical workload. 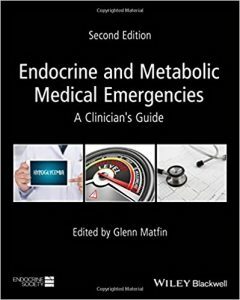 Endocrine and Metabolic Medical Emergencies: A Clinician s Guide provides a singular reference to help endocrinologists, acute and general medicine clinicians, hospitalists and critical care physicians, and general practitioners recognize the symptoms of endocrine emergencies and provide the highest standards of care. 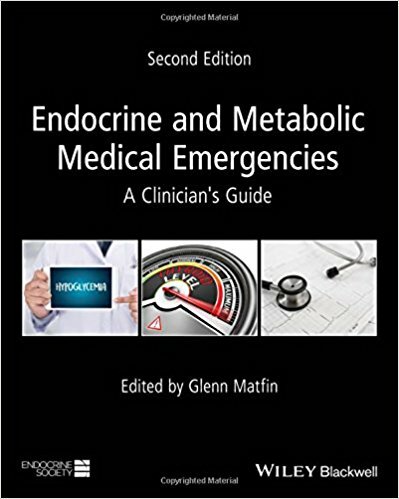 Already the definitive and most comprehensive guide to endocrine emergency care, this new second edition: provides acute care guidance for a range of both common and unusual endocrine emergencies; details the effects of acute medical and critical illness on metabolic and endocrine systems, and their impacts on endocrine investigations; discusses special patient populations, including the impacts of aging, pregnancy, transplantation, late–effects, perioperative, inherited metabolic disorders and HIV/AIDS on presentation and management; and features detailed coverage of disorders by system, as well as, metabolic bone diseases, neuroendocrine tumors, and more. Packed with case studies, images, and chapters written by distinguished authors, this guide is designed for both quick reference and study. Coverage includes the presentation, diagnosis, management, and treatment of endocrine and metabolic disorders in an acute care setting, as well as the most up–to–date guidance on issues including clinical lipidology, glucose, sodium, calcium and phosphate, and more. Blending the latest science with clinical and practical advice, this invaluable resource helps clinicians stay up to date with the field s relevant body of knowledge while providing the practical, clinical insight they need in order to provide their patients with the utmost level of care.